Sorry for my lack of updates lately, but it’s been kind of busy around Chicago lately. The month of November started off pretty quiet, until the second weekend of the month when the Norbertines of Holy Spirit House of Studies returned to St. Norbert Abbey to celebrate the Feast of All Saints of the Order. During this time, we also honored our current lay Associates as well as welcomed new candidates into the associate formation program. It was very good to see a lot of familiar faces and to catch up with people who I haven’t seen since the summer. Then we returned to Chicago for another week and a half, only to come back up to De Pere again to spend some time at the abbey for Thanksgiving. While back at the abbey, we ‘celebrated’ the end of our novitiate hermitage period by going to the local Wal-mart so I could use some of my monthly allowance to buy a winter hat and gloves. Sounds lame, but when you aren’t allowed to do much, this was an exciting trip. On Black Friday, we piled back into the van again to head back to Chicago. We arrived back at the house and I took a quick nap before the sisters came to spend the weekend with us. 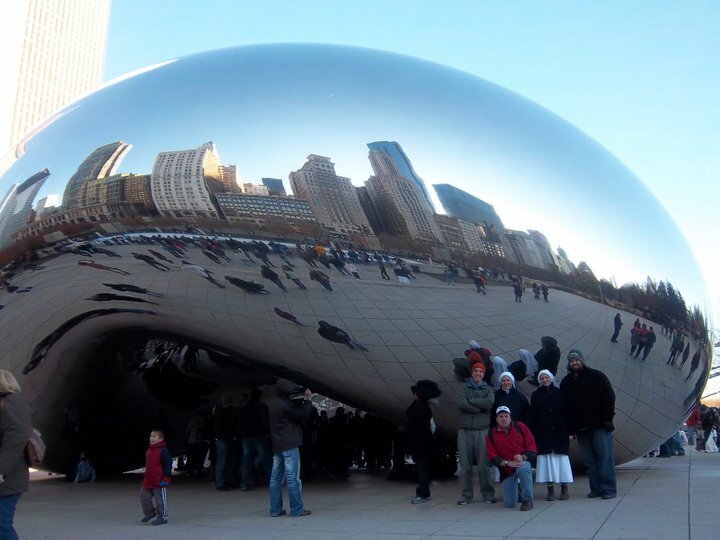 They have never been to Chicago, so we volunteered to host them and show them the sights of the city. 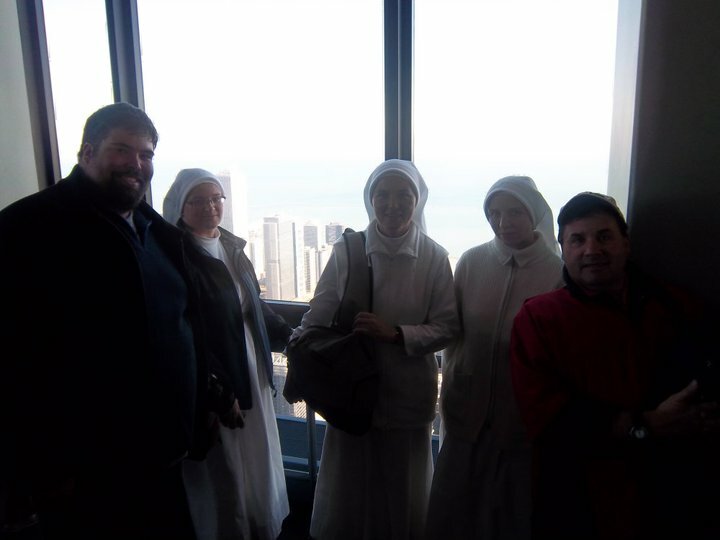 So on Saturday, we went to the Willis Tower (formerly known as the Sears tower) to go to the 103rd floor. The sisters told me that in Slovakia one of the tallest buildings in their city is 6 stories. 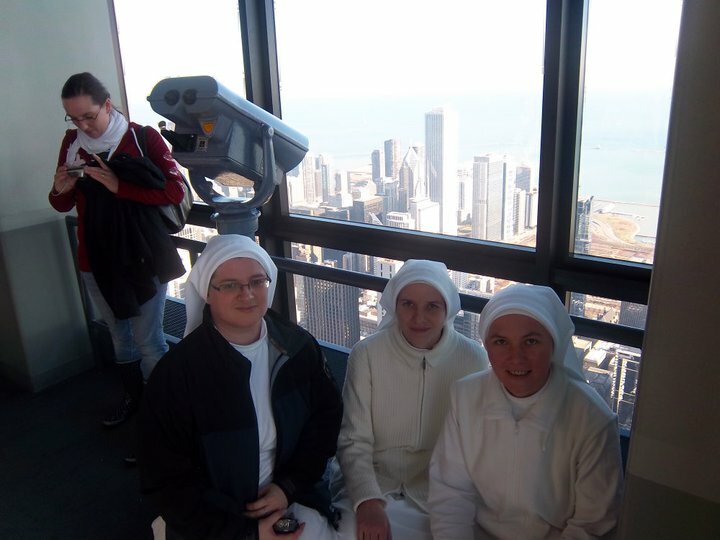 So they were amazed to be 103 floors in the air. 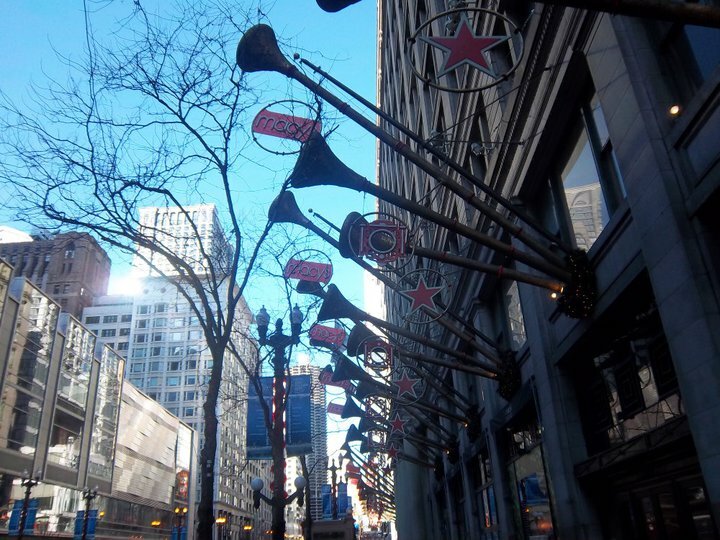 After the Willis Tower, we went took our Trolly tour shuttle to State Street. It was very crowded because it was the busiest shopping weekends of the year, but the sisters didn’t seem to mind. They loved looking at the bustling city life. 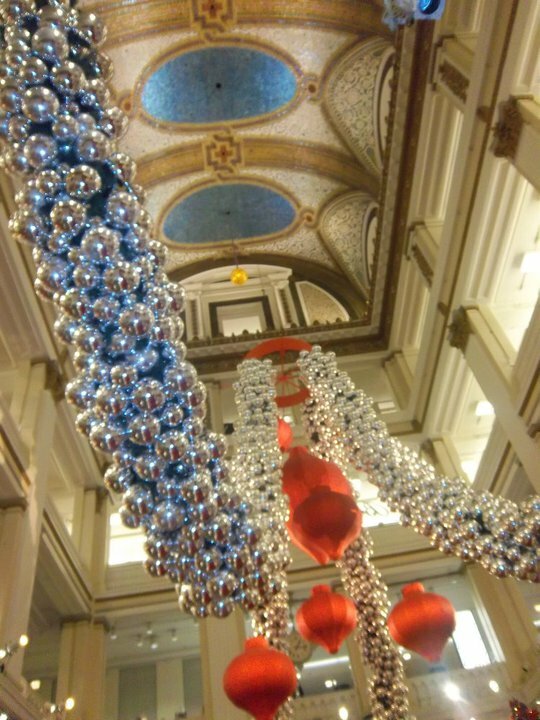 We stopped by the Macy’s department store to look at their famous Christmas windows and to take a peek inside. Again, the sisters were amazed at the size of Macy’s. The had big smiles on their face walking through the wonderfully decorated store. After realizing that the crowded Macy’s food court was not going to provide enough seating for us, we walked to a Corner Bakery and enjoyed some sandwiches. After lunch, we walked a few blocks to Millennium Park to see the famous Bean! All in all a good day! After the Sisters left Chicago, we immediately started cooking as we were hosting a professor from CTU and a friend of the Norbertine. We made another Thanksgiving dinner which turned out delicious!! Last weekend, we returned to the abbey yet again for a Come and See weekend. We had 8 men participate in the weekend, which was wonderful! It was interesting meeting some new men interested in our way of life as well as connecting with the familiar faces. After the weekend, we returned to the house in Chicago once again for a celebration for the end of the semester. We had two birthdays and an ordination to celebrate. We went to an Indian restaurant and enjoyed the food and each others company. We also were treated to a New Orleans style dinner thanks to Fr. Getchel. He has been in Chicago this semester as well because of his sabbatical program at CTU. Every Wednesday he cooked dinner for us. He is a wonderful cook, for sure. Things won’t be the same without him next semester. Now, we again are at the Abbey for the rest of the month. We will be celebrating Christmas and the New Year here with the community as well as taking classes in the Order’s Constitutions and Peace and Justice issues. All in all it’s been a busy month of traveling and moving around. But it keeps us busy. Stay tuned for more updates in the future.